Assertiveness concept. 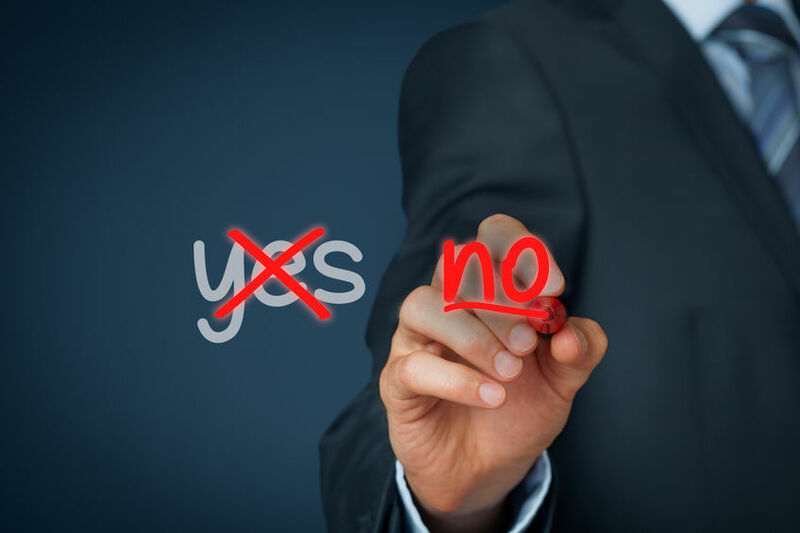 The most successful person know how to say no. This past month I have been experiencing something I find just yucky. Shopping for a new car. I have never caught more sales people in flat-out lies before in my entire life, and it just kept happening no matter which dealership we went to. Personally, I was in sales myself for over twenty years before becoming a full-time hypnotherapist and in that time never did I have a sales job where I was able to flat-out lie to a customer without getting in trouble. But with car sales no rules of decent business practices seem to apply. -“Yes, we have three of those on our lot right now.” Actual number, 0. -“It’s $4,000 more for leather seats.” The car manufacture’s own website price is $695. -“They don’t make those in automatic transmission.” They do. He probably said this because they didn’t have one. -“They discontinued the color you want but we have a perfect black color for you at a discounted price.” They didn’t discontinue my color choice; he just didn’t have the green one I wanted. -“They don’t offer 2.9% financing.” They do. -“We are not allowed to discount that particular car because it’s so popular.” When we said no to the price less than five minutes later as if by magic he was “allowed” to give us 4K off the price but for “today only.” That one was so cliché we laughed in his face. At the end of the day I felt like I needed a shower because so many lying salespeople just made me feel dirty. We never even got to the financing part and I was already up to my ears in fertilizer and I was wondering why this is still a thing. As a child I was taught that if I could say “yes” to someone else’s request for something from me I should and that I should also feel guilty or selfish if I didn’t. They meant for me to say “yes” to Grandma’s request for a glass of water or to be brought a comfortable chair, not to say yes to a car dealership who ordered too many GTI’s in red and not enough in green. But that training is still there; many people have it and companies take advantage of that common conditioning all the time. Don’t fall for it. Get comfortable with the word “no” or the phrase “that doesn’t work for me” or “that’s not what I am looking for” and walk away. It’s your right to say no to anything and as a steward of your time and money it’s your duty to protect both with vigilance. So, what did I decide to do? Well, I went and made the expensive repairs on my old Mazda that I had been trying to avoid by buying a new car and allowed myself to become wiser from the experience … ok that’s a lie. In the end I did both and I am loving my “midlife crisis red” car. My salesperson? I went with the guy who handed me the keys and sent me off without him in the car, saying, “Drive it and if you don’t love it within the first ten minutes then it’s not the car for you and I will give you a different set of keys to try.” I ended up liking him as much as the car. Stand in your power and if you see a woman driving way too fast in a bright red GTI with very loud stereo … no, that’s not me, it’s my alter ego.